A simple cost effective solution for easy filling of viscous fluids such as water / shampoo / cosmetic creams / sauces and other similar fluids / gels. All components which come into contact with the product to be filled are made of Stainless steel and are easily removable for cleaning by hand or industrial dish washer. 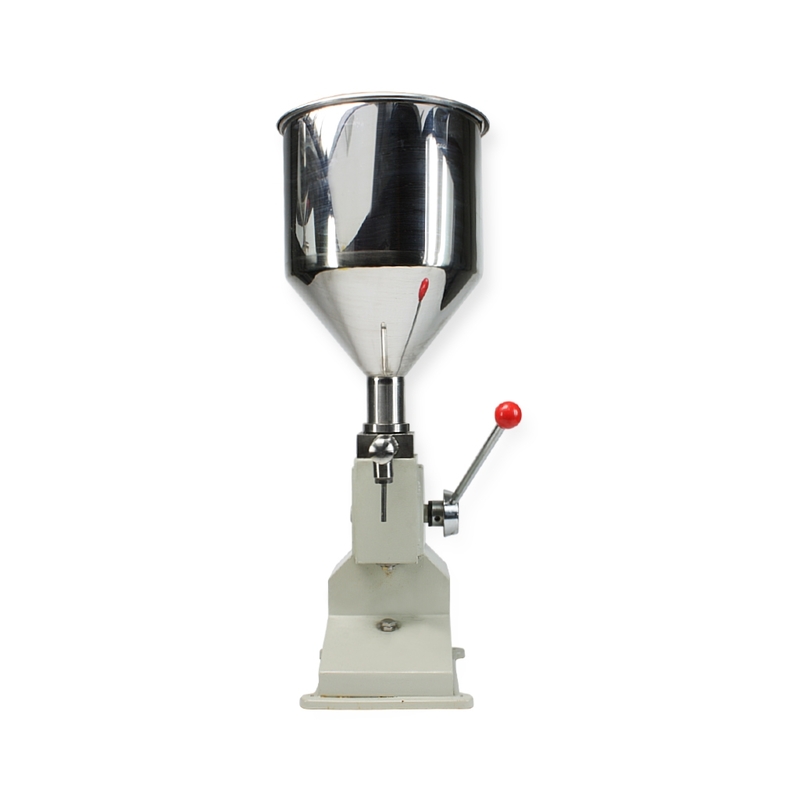 Filling hopper holds 10-15kg of product and supplied with lid. Main body is made from cast iron to ensure steady placement on most work surfaces, and can be mounted if required. A simple pull lever placed on the right of the product activates the pumping piston which dispenses product out of the front facing nozzle for easy filling into our Spoutbags Lamizip and other laminated products. Output is approximately 40 units per minute dependent on operation speed.